Heads up Kohl’s Cardholders! 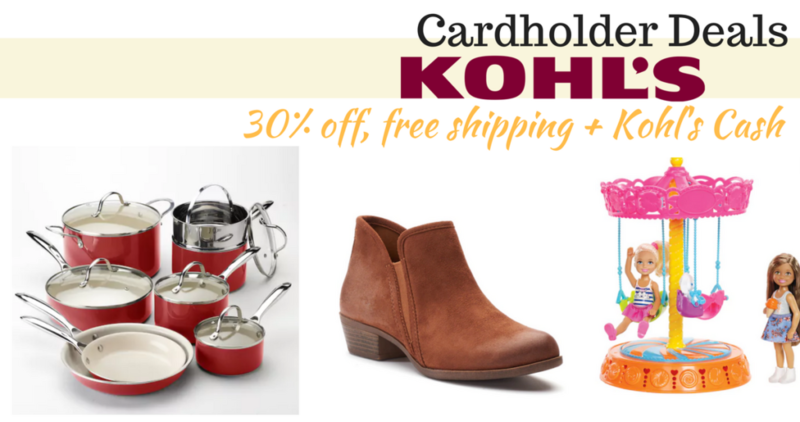 Get an extra 30% off your Kohl’s order when you use coupon code CRISP30 at checkout. Also, get $10 off $50 Women’s & Juniors Fashion, Accessories, Shoes with coupon code FALLSTYLE. Offer valid through 9/23. Shipping is free with code FALL4MVC for Kohl’s Cardholders only.